Long caricatured as lovers of excess opulence, a group of Russian investors is taking an uncharacteristic dive into Miami’s residential real estate market by betting more modest housing is a better investment opportunity than building yet another amenity-laden waterfront tower. The Verzasca Group, a privately held developer created last year, is looking to leverage connections with wealthy Europeans to invest $700 million in South Florida over the next three years, company president Darius Kasparaitis said Wednesday. The company has acquired sites for two planned high-end developments in Bay Harbor Islands with a combined 45 condo units. The company plans to develop 2000 Biscayne Blvd. in Miami and 17550 Collins Ave. in Sunny Isles Beach, Kasparaitis said. No plans have been submitted, and no asking prices have been released. Asked why his company is focusing on the Miami market rather than investing in New York or Chicago where Russian developers have been more prevalent, Kasparaitis said “New York is totally crazy” pricewise. Verzasca is unconventional not just for its new focus when most South Florida residential developments are tagged as luxury products. Kasparaitis, a native of Lithuania, was until 2010 a hockey defenseman, taking the ice for the New York Rangers, Colorado Avalanche, Pittsburgh Penguins, New York Islanders and Russian teams. The real estate executive leveraged his connections as a pro athlete and former Olympic medalist into his current gig. Still he said “I have no idea how” he ended up where he is. 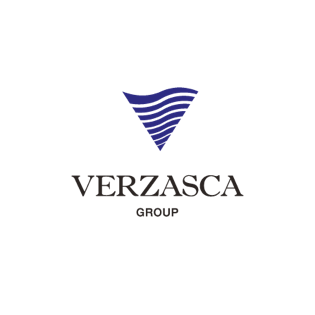 Verzasca’s development and financial know-how come from executives Gennady Barsky and Tim Lobanov. Lobanov previously led corporate development for Russia’s Polis Group Co. Verzasca claims a portfolio of over 10 million square feet of development under construction in Russia, Finland and Latvia.